Celebration of locally grown garlic and produce plus the outstanding food, wine arts and craft of South Gippsland. Entry fee of $10 (free entry for kids & dogs are welcome!) will provide you with an entry wristband and a festival guide with map, directions and the festival program. Don't forget to bring a hat, sunscreen and water bottle refills are free. 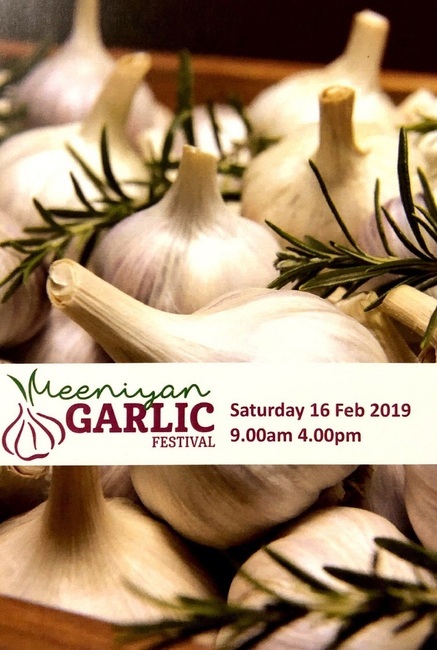 For more information, please click here to know more about the Meeniyan Garlic Festival.